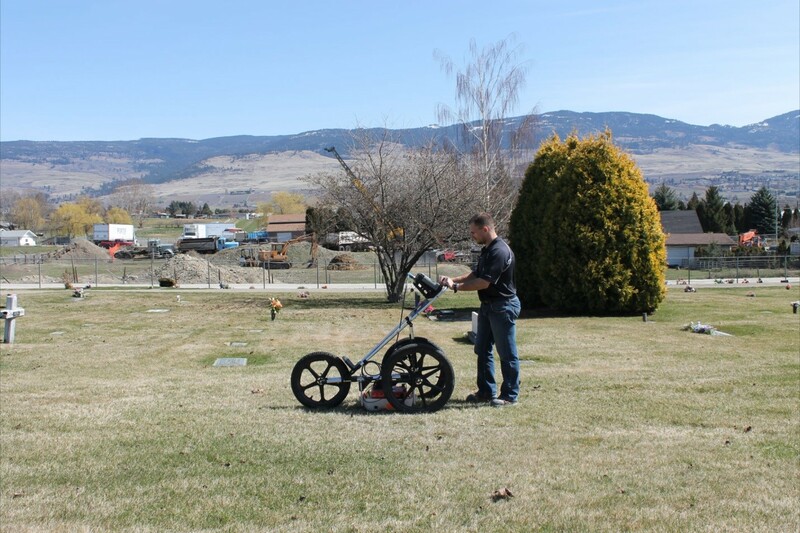 Precision Radar Scanning has extensive experience in assisting professionals, heritage societies and native bands in the location of unmarked graves. We will provide you with an efficient survey of your property as well as detailed reports, maps and GPS co-ordinates in respect to the location of possible unmarked grave site. This cemetery has recently been beautifully renovated in the Okanagan. The cemetery has little room for expansion and the administrators need to know if new plots can be positioned between current sites. 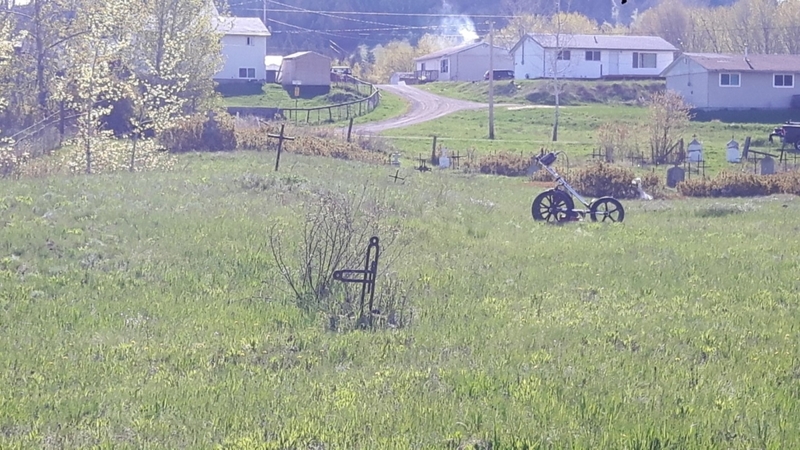 Numerous unmarked graves discovered at an existing cemetery in the Kootenays. 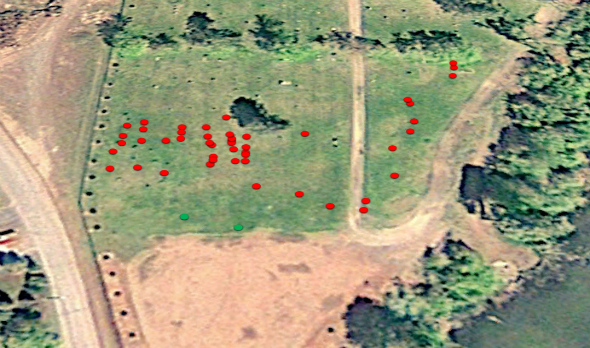 Each red dot represents a probable grave plot with GPS coordinates. The municipality was looking to expand the cemetery but was unsure how far to the south the old section extended. This section of the cemetery dates back to late 1800’s and many of the original tombstones had fallen and deteriorated throughout the years. Inadequate mapping and recording keeping made it virtually impossible to know where it would be safe to extend the cemetery parameters. 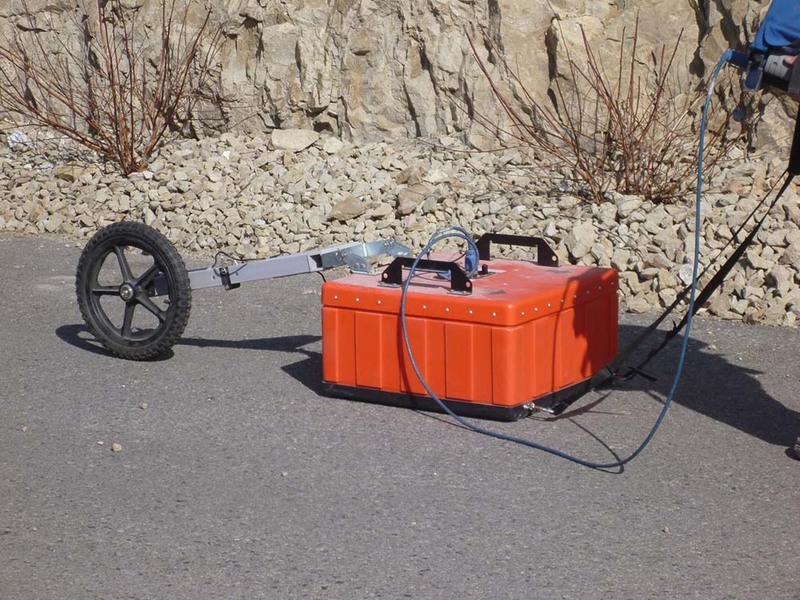 Precision’s ground penetrating radar survey determined it was safe to add future plots to the south of the unmarked graves discovered. 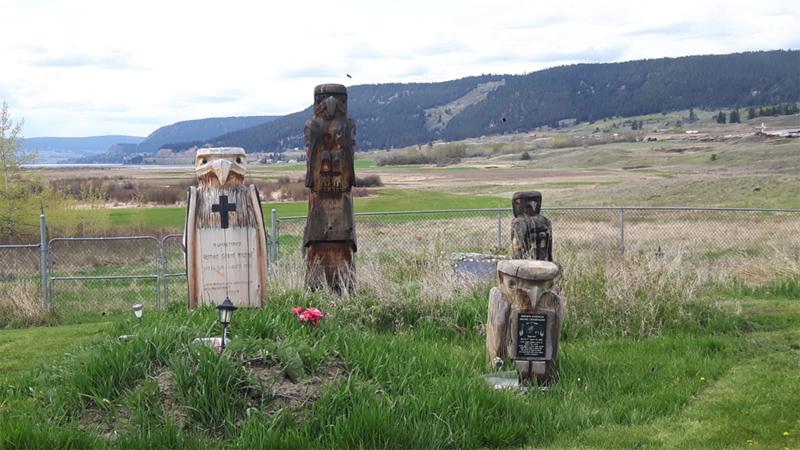 A Native Band in Northern BC needed to expand into the cemetery into “unknown” areas. Maps were recorded up until the late 90’s and had to be updated. Several wooden crosses have deteriorated and the positions were loosely sketched. Numerous unmarked graves were discovered that were not previously recorded. GPR scanning performed amongst known plots. This cemetery dates back to the late 1800’s.